If you’re looking for handy ways to add property value to your home, let Sliding Robes Direct help you. For many years now, we have been providing innovative, stylish and modern sliding wardrobes to customers throughout the UK. So, regardless of your needs or reasons for adding value to your home, let our professionals help. We’d like to share with you 10 ways to add property value to your home in the hope that it helps you when selling your home or getting an estimate. Should you like to know more about any of our services or how we can help you, please do not hesitate in contacting our team today. Did you know? A fresh coat of paint can add up to £3,000 onto your property value. More people are likely to see potential from a plain white or cream room than a patterned wallpaper. So, by simply adding a new plain colour to your walls could vastly increase its potential to sell. Investing in few of the points above will give you potential to increase your property value as well as improve the appearance of your home. By seeking out professional bespoke joinery services for new windows and doors or investing in sliding wardrobes, you could see your home sell for much more than you initially expected. Not only will your improvements become a selling point to the home, but it also means that the new owners won’t need to do these themselves, which will help massively during the buying process. 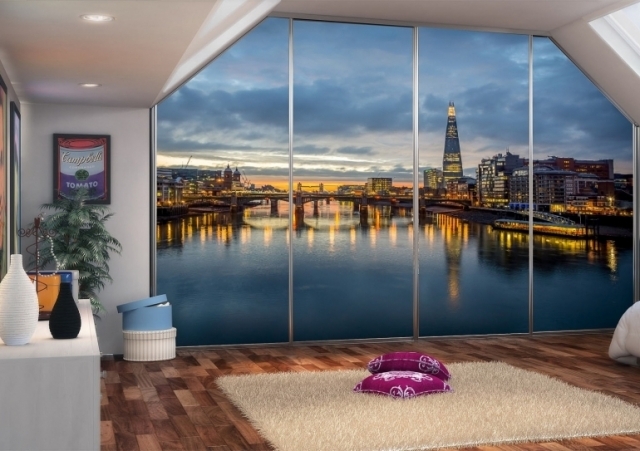 When it comes to increasing the value of your property, Sliding Robes Direct have you covered. So, come and upgrade your wardrobes with Sliding Robes Direct and watch the value of your home increase. Not only that, but if you did have any potential buyers come and view the property, everything can be stored neatly away behind the doors of the wardrobe. This will then not only help the viewer to envision their plans better, but it shows how well the home has been taken care of. Simply call on our professional team today to find out more about our sliding wardrobes for sale. Housing is getting more and more pricey. That means that in many cities, you get a lot less space for a whole lot of money. Getting creative with the space that you have is important for ensuring that you get the most out of the little space you’ve got. That is where sliding wardrobes come in. If you are looking for an amazingly efficient hack to space saving, then you should definitely consider these. The space a door consumes when swinging in and out is saved for other uses in any rooms that use sliding wardrobe doors. Cupboards in the hall as well as kitchen cabinets can get a lot of utility from the use of sliding wardrobes. Not only does it make it easy to maximise the limited space, there are several ways that anyone can easily style them. There are tons of unique and high-end styles currently available in the market. That means that there are tons of styles for every different buyer out there. Whether you are a seasoned home owner or a new home buyer, there are several ways that sliding wardrobes are a great addition for your home. 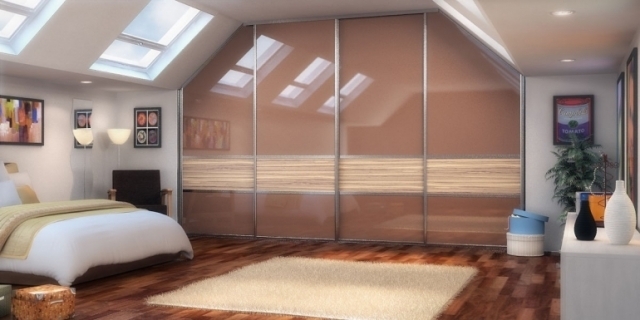 There are a variety of ways that you can get effective use of space using sliding wardrobes due to their versatility. The usability of these products are immense and there are many ways that one can choose to use them in their homes. The availability of a variety of styles makes this product ideal for a number of rooms that one may consider adding them into. You don’t have to choose a plain and boring sliding wardrobe door. There are lots of gorgeous functional pieces that can easily be used as a focal point in the spaces that they occupy. Adding a mirror to the front is a great way that one can get double the functionality with the same piece. An interesting pattern and texture can work as an aesthetically pleasing artwork.In this age of creativity and a lot of information, a simple DIY can transform wardrobes into whatever you personally like them to be. These are an absolute delight to handle as they are a lightweight way to get the job done well. This is yet another reason these are perfect for space saving. Getting them installed is a simple and quick process that does not require any specialised tools. 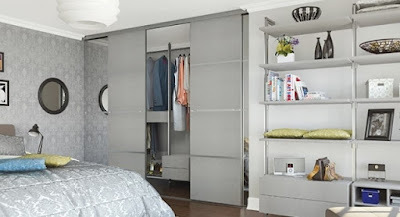 It is this efficiency that makes sliding wardrobes a great go to for people looking to maximise on good use of space. There is always something out there for everyone and this is a great way to save time and get a product that serves its function effectively. Before you jump right in and start making drastic changes, however, you might want to think about the different options available. Below, we have listed 4 home improvement ideas for 2019, suitable for a range of different budgets and needs. Whether you have a big budget or not a lot of money to play with, you can get ideas from this article. If you are keen to decrease the amount of clutter around your home and have a general cleanup, you might want to consider new storage around your home. One of the best ways to create storage space is to introduce sliding wardrobes with interior storage solutions, such as drawers, rails and shelves. Made to measure doors can be purchased for lofts or odd shaped rooms, with different door sizes available depending on how much space you have to work with. A whole bunch of different designs are available for the modern and traditional home. Look outside… Are you happy with your garden area? Is it somewhere you spend time and if so, why not? This is one of the best things you can do to improve your home in 2019. Create an outdoor living space where you can spend time and relax with friends, family and loved ones. Now is a great time to think about repairing, refurbishing or replacing your patio area in preparation for the springtime and summer months. There are loads of excellent companies out there that specialise in patio installations. Look for a local paving and patio company to install your new patio for you and you won’t regret it. If you are happy with the back of your home, you might prefer to have your driveway replaced at the front of your house. This can change the whole dynamic of your home as your come and go each day and can also increase the value of your property if you ever want to sell in the future. If you are looking for low-cost ways to change the look and feel of your home, think about the way fabrics are used throughout your home. New bed sheets, curtains, cushions and throws don’t have to cost a lot of money but can totally transform the look and comfort in a room, making it feel more homely and cosy. Fabrics are going to big in 2019, so take the time to look for bargains and designs you love! Look after your home properly by taking the time to clean and tidy effectively. You will feel a lot happier and maybe even healthier by giving your home a little bit more TLC. This home improvement tip can be completely FREE if you already have cleaning goods under your kitchen sink. Otherwise you might want to spend a bit of money on some eco-friendly cleaning solutions to make your home a much cleaner place to live. So there you have it, our top 4 home improvements tips for 2019. We hope you enjoyed reading and have fun improving your home this year. Why choose a Made to Measure Wardrobe? Finding a simple solution of installing with little mess and fuss can be quite daunting. It is even challenging to find something that can seamlessly fit into your room space in order to integrate it into an elegant and stylish perfect and look. • Understand that Everyone’s home is different. There are many areas in our homes that have wasted space and need to be transformed into useful storage space. You just need to tidy away some of the clutter at the corners of our rooms, in the hallways or even at the bottom of your wardrobe. One of the benefits of having a custom sliding wardrobe is to create a bespoke solution that will absolutely fit your taste and needs as well. • Fits Perfectly in any space. If you have dead spaces, areas with unusual dimensions or if you want to improve the capacity or look of existing storage space, Do you need the flexibility that of being able to design a sliding door that exactly suits your preference and specification? Our online wardrobe designer will make it easier for you to design the sliding wardrobe that you need. You just need to specify 2 simple measurements that perfectly fits your space. This will be ideal for you to improve the look or capacity of your storage space, or utilise dead spaces or areas with unusual dimensions. You can also include internals, accessories, and other finishes to your design and order your perfect custom sliding wardrobe. • You Don't Need any Joiner. Since they are precisely manufactured for your space, the made to measure sliding wardrobes makes it easy and simple for you to fit them yourself. Since you will not need a professional to do the job, this will save you much time and money. You can visit our FAQs section and measurement guide to get more advice on what is needed so that you can fit the custom sliding wardrobe by yourself. 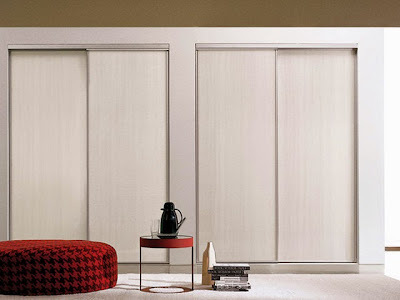 Sliding Robes Direct is a leading specialist in wardrobes and handmade custom sliding doors. Our wardrobes are built with style to the highest quality, standard and with affordability in mind. We make our custom sliding doors with high-quality mirror, glass, and woodwork finishing in a contemporary metal framework in a vast variety of designs and styles. Just design it yourself then consult the experts! Nowadays, mortgages are getting harder to get, while more people are struggling to live in rented apartments and flats, making homes even smaller. Clutter and junk can quickly fill up in these small properties, running the potential for the available space. For you to get the most out of your small rooms, think about maximising storage and space in the most ways possible. • You Need to Make A Wise Selection of Your Furniture. If you happen to own a small bedroom or living room, endeavor not to purchase pieces of huge furniture such as a king-size bed or corner sofa to save the limited space you have. Precisely selecting furniture that suits the size of your room the best move to ensure your room isn’t cluttered. For instance, you can substitute one large table with a nest of tables. When not being used, they can easily be placed on top of each other. You can also add more space to your room by using Console tables. Fitted furniture that is exactly customised to your room’s space is among the best solutions for adding space to a room, as it ensures each inch is efficiently utilised with no wastage of space. Installing Sliding Robes Direct fitted furniture is the best decision you can make for your home in order to value the storage space available. • Use of Vertical Space. There is actually a large amount of space available for use above the eye level. 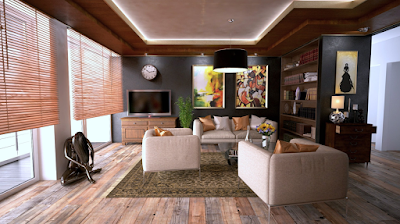 For rooms with a small floor area and high ceilings, this method can work perfectly. To increase storage space, Install shelves above doors for those items that are not frequently. Vertical storage can also be added by Ladder shelves. This will save a lot of your room’s surface area and add a unique charm as well to your room. This is very easy, as you just need to dedicate an entire day to eliminating everything from your room that is not significant. Organise everything you need in your room by making a list of all the items available in your room and select what you need and literally throw away what isn’t important to you. • Tidy up your Storage Space. By taking everything and shoving it away in your storage space is just transferring the clutter problem elsewhere. This will ultimately become a worse problem later on. You need to sort out the entirety of your storage space to make moving things around much easier, and those things you don’t need will be easily cleared from your storage space. To declutter your house, Sliding Robes Direct offers a consultation service for perfectly designing your room. You will receive precise advice from our expert designers on how to store your furniture as well as solutions for your interior design. Would you like to create the dream home you have always desired? Just contact us now and we will assist you in designing a fitted living room, fitted bedroom, home cinema, and fitted home office among others, without any pushy sales tactics. 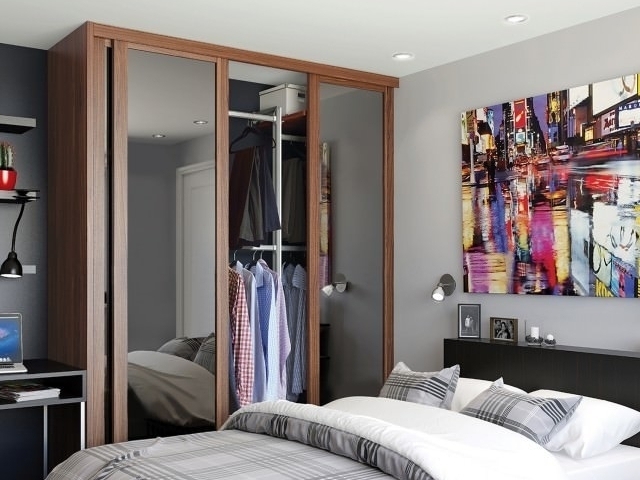 Most homes within the UK choose to have Mirrored sliding wardrobe for a few good reasons. One of them is that they provide the function of a separate full-length mirror. 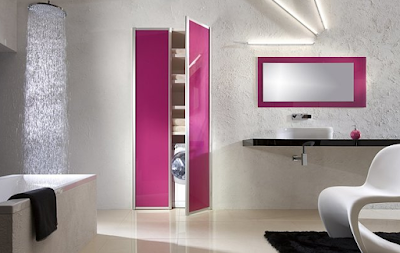 To have a feeling of the mirrored Wardrobes, Sliding Robes Direct has what you need! Although full-length mirrors are times essential for use in the dressing room or bedroom, it is not always necessarily practical to have them. This is because the framed mirrors that are large and cumbersome can occupy more space than you would probably like. For this reason, you are left with a logical choice of using mirrored wardrobe doors. If you, therefore, choose to move in this direction, the mirror can be well configured to take up the door of fitted wardrobe for it to remain ready and waiting for anytime it’s needed. You don’t need to make any configurations for a freestanding version. • The Mirrored Wardrobe Doors Create a Feeling of Space. The use of Mirrored wardrobe doors in “creating more space” in small rooms is one of the many reasons we recommend them. Apart from Mirrors being used for their typical function, they also do create an illusion of space, and this also includes Mirrored wardrobe doors. Your room will seem bigger than its actual size, enhanced by the bouncing light from the mirrors. • Assists You in Choosing Your Configuration. Do you want the number of mirrors you would like to have solely rely on your own decision? Just invest in Bespoke Mirrored Wardrobe Doors. You may opt for a full set, or even use a standard sliding door or two in breaking up the mirrored surface. Having mirrored wardrobe doors in your room will definitely be an excellent addition regardless of your choice. They are an efficient way of storing your items, they are easy to use, and as well require little or no maintenance. Would You Like To Be Supplied With Mirrored Wardrobe Doors? Having provided sliding door wardrobes for many years, Sliding Robes Direct are well experienced to offer you mirrored wardrobe doors design service by our experts. Before you finally make your decision on the kind of mirrored door you want, we will discuss your various options and advise you appropriately. Just contact us, or to see for yourself the quality of service we have to offer, just visit our showroom. There’s no place like home and whether yours is a rented shoebox with damp stains, a ten bedroom country house with a tennis course, garden flamingos or a penthouse suite with floor to ceiling windows and a rooftop pool, it’s important to make your home somewhere where you feel comfortable. With this seasons key trends including textures, metallics, natural elements and marble, it’s also providing popular when it comes to bedroom designs. This has saw people introducing marble and metallic accessories into their home and create a model feel which provides an understated and freestanding fitted bedroom furniture. Refreshing the trends in 2018 show stark metallic items which are still a key piece to these styles and have evolved with people trying to create a softer ambience. Marble styles are another breakthrough styling which provide a contemporary feel and a clean finish, especially when paired with metallic pieces as well as a feminine flourish which includes natural elements like house plants. Transform your home into a retreat with metallic items, textured materials, marbled pieces and natural plants. These finishes are bound to make a bold style statement as well as the metallic reflecting the light’s brightness. Small accessories like vases and candle holders can incorporate these trends withing the bedroom in a more subtle fashion. Metallics can also be used in a more understated way but whilst still providing a bold and modern trend due to the industrial feel, so it’s important that your existing furniture or new furniture has a minimalistic style. Copper – surprisingly a versatile metallic colour than can be blended into a range of interior styles, great for bathrooms, kitchens and lounges, copper is perfect for every room in the house. Patchwork – a step up from the traditional ‘patchwork quilt’, there’s a range of patchwork items available, from different fabrics, to cushions and even upholstery. White walls with fabric wall prints – a simple yet striking look, this interior trend can bring a lot of attention to a basic space. Pineapples and watermelons – odd but people can’t seem to get enough, whether it’s small figures, ornamental items or prints. Sky blue – a beautiful fresh colour which can also add calming vibes to your interior. Photo frames – and lots of them, decorate your home with all your favourite memories and favourite people. Aztec prints – striking Aztec prints are no longer too bold, they can easily be incorporated into your home and look great. When choosing your new fitted wardrobe, choose a simple wardrobe design that includes contemporary and clean lines. The selection of wardrobes we provide are great for this trend, the crisp white door fronts and chrome effects will provide your room with a fresh and contemporary finish as well as understated backdrop for your new interior pieces. When it comes to overhauling your bedroom, we know a trick or two on how to do this. From getting out with the new and in with the old, to completely transforming your room, we want to make sure that your bedroom is completely suited to you in every way possible. Our experts are excited to show you some top tips on how to give your bedroom an overhaul. 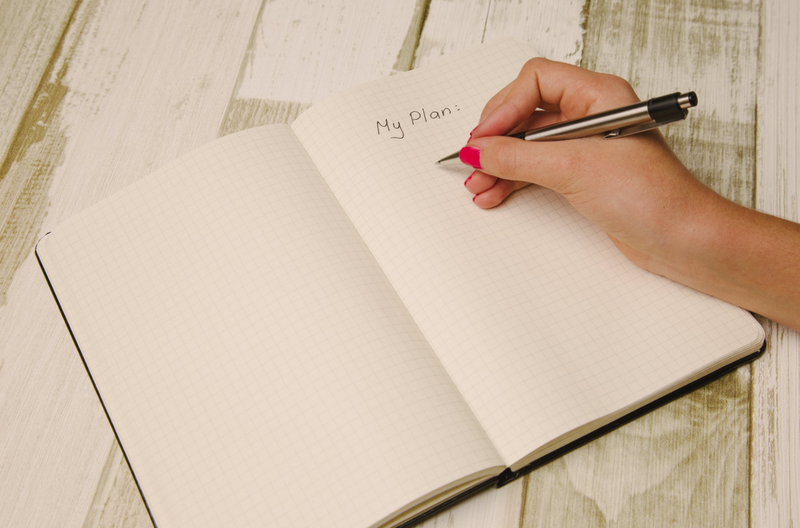 Make the most of our advice and take inspiration in what is most important to you. By doing so, you will be able to overhaul your room with ease, ensuring that it looks fantastic regardless of your personal tastes and interests. So, sit back and relax as we guide you through four ways to overhaul your bedroom. Light up your world and buy a Hollywood mirror for your bedroom. With a wide range of styles and designs out there, you have a wide selection to choose from to match your décor. Once more, we have found that Hollywood mirrors look great on either a beauty table or fixed to the wall. So, whether you’re looking for a glamourous finish on your dressing table or somewhere to perfect your makeup, a Hollywood mirror is the way forward. Not only do they look fantastic both in and out of use, they are a great way at connecting the whole room together. Don’t forget, mirrors are a vital asset of any room. One of the most popular ways of giving your bedroom an overhaul is investing in a new wardrobe. Not only will this increase the amount of storage space you have, it’s a great way to have a clear out too. Getting a new wardrobe will help you to have a sort through your clothes and donate or sell any you no longer wear. Once more, if you opt for a sliding wardrobe then you can be confident in knowing that you have extra space to storage away more things. This could range from shoes to bags, suits to coats. You would be surprised at how much extra space you can get in a made to measure wardrobe! Make a worthwhile investment and choose a sliding wardrobe where you can give your bedroom an overhaul like never before. Trends come and go, so if your bedroom has not been decorated in a while the chances are that it might be outdated. But don’t worry, a few modifications and changes to the room can easily change things. From new wall paper to pillows, little touches count. Make your room as personal to you as possible and then it will never go out of date, because you are the trend! That way, you can be confident in knowing that your room looks great and trendy, without worrying about it going out of fashion. So, experiment with your favourite colours and designs, but be cautious as smaller rooms can have a negative effect on certain colours. Everyone knows that when buying a new bed, it means new bedding, right? Well, we certainly agree with this. There’s no better feeling than tucking into bed with fresh, new bedding. So, what better way to celebrate overhauling your bedroom than purchasing a new bed and bedding. In most cases, when redecorating a bedroom new bedroom is required, and in our opinion, bedding is a fantastic way to finish off a room. And, with so many designs, patterns, and types of bedding out there, you can explore the latest ones without worry that someone may have a similar one to you. If the time has come to order a new wardrobe, look no further than Sliding Robes. Our team have years of experience in supplying top of the range wardrobes to customers throughout the UK. Regardless of the size of the space, or the type of wardrobe you desire, our team will be on hand to help. Simply contact Sliding Robes for a new wardrobe today and we’ll take care of you. From here, we will discuss your specific requirements and advice you on which wardrobe is best for your needs. Waste no time and call Sliding Robes today to receive a FREE QUOTE. If you’re thinking of buying a new sliding wardrobe, then we have some advice on how to start the process. From finding the right design to measuring up, at Sliding Robes we have all the required information so you can make sure that your bedroom or dressing room has the best results. One of the first things you will need to do is to look into the wardrobe design you require, from the style to the layout structure, it’s important to make sure that you pick the perfect wardrobe for your needs. Check out our made to measure and standard size wardrobe range today and browse the options that we have available. Before you purchase your wardrobe, make sure that you’ve measured the area correctly. Something that we understand is crucial when it comes to a new wardrobe, is storage, you want to make sure that your wardrobe looks great, but can also store a good amount of clothing. If it’s something that you’re looking for when it comes to your new wardrobe, then Sliding Robes can help. We provide a wide selection of products to suit all of our clients’ tastes and requirements. On top of this we also have storage and interior options available to best suit your needs. Just like the design, the storage options in your wardrobe is also really important, not only will you have a stunning new wardrobe, but a storage solution then provides space for all of your clothing and shoes. The made to measure wardrobes that we build specifically for you will provide full control when it comes to designs, layouts and interior structures of the wardrobe. This will provide you with an advantage for needing a new wardrobe as well as better storage solutions. It’s just one of the reasons why we’re a top choice when it comes to Made to Measure Wardrobes. For more advice on finding the perfect wardrobe or to receive helpful information, you can view our range of wardrobes online. For more information on our installing, fitting, delivery options or technical advice, take a look at our helpful guides. This is one of the best ways to reinvent your sliding wardrobe doors without replacing them completely, new frames and panels can be purchased to give your sliding wardrobe a brand new look. If you’re thinking about new panels for your sliding doors, then one of the first things that you can do is to consider mirrors. Not only do mirrors add the illusion of space to a room, they can also help you to bring your old doors back to life. Painting your old wardrobe doors is a great way to bring them back to life, if you have old doors with scratched on or you’re simply bored of colours, consider repainting the panels. Glossy panels are a great option but a matt finish might be better and give them a new colour look using paint. Two possibilities come with curtains, firstly think about removing your sliding wardrobe doors, keep the internal storage and hanging curtains in front of the open space, this will change the way you open and close the empty space. Or you could keep your sliding wardrobe and use hanging curtains or drapes in front of them. Door and curtain combinations can add extra privacy and also decorate your bedroom in a new and unusual way. Covering your door panels in wall paper is similar to painting them but will provide a new and quirky look to your wardrobe doors. Try choosing a wallpaper that will tie in with the theme of your room and your home. Some textures or materials, usually felt and cork, are options when it comes to replacing or covering your wardrobe doors, as well as providing a sharp new look, they also provide practicality. Both felt and cork can be used as notice boards, this will allow you to pin reminders or your favourite photos to your wardrobe doors. If you already have handles you can change them or refresh them by adding new ones, it’s a great way to give them a fresh look so consider replacing the current handles with different ones to bring them back to life. Vinyl stickers including decals are a great idea when it comes to getting creative, vinyl stickers can be printed with your favourite words or images, then carefully stuck to your doors. This is a great way to add colour to your room. You could remove the doors completely, this will leave only the interior storage solution, an open shelving look can work if you take the time to keep the shelves and your clothes tidy. Where else can Sliding Doors be used? Most people’s minds will spring to the bedroom when thinking of sliding doors, used for storing clothes and other personal belongings in a sliding wardrobe. There are, however, a range of other uses for sliding doors, in all areas of the home. Below, we look at the different uses for sliding doors, delving into the ways they can be used and where. Sliding doors come in a range of styles, sizes and finishes, with different frames, panels and installation methods available to achieve different results. Whatever your reasons are for wanting sliding doors in your home, we are sure you will enjoy discovering the different uses for where sliding doors can be used. Sliding doors can be used as part of your kitchen design, concealing elements of your kitchen that aren’t appealing to the eye. The pantry/larder is a great example of where a sliding door can be installed, as well as any utility type space you have attached to or as part of your kitchen. You might want to conceal your washing machine, tumble dryer and even your fridge freezer. This where a space-saving sliding door can come in incredibly handy. The hallway can get extremely messy if you’ve got a hat stand or somewhere to hang coats and jackets. Shoes will often live here too, if you don’t have space under the stairs or a porch area leading into your house. The combination of coats and shoes can lead to mayhem in the hallway and sliding doors are an excellent solution. All lounge and living room areas could benefit from having sliding doors to make storage easier. Books and DVD’s could be concealed behind the doors, as could games and other personal belongings which look like clutter at a glance. If you have awkward space either side of a chimney breast, you can make the most of it with the installation of sliding doors. If you put your mind to it, you’ll probably be able to think of more ways that sliding doors can be used in the living room. The bathroom can often provide opportunities to have sliding doors installed, providing you with a place to store towels and toiletries. Mirrored sliding doors would work well here, offering the impression that the room is a lot more lit up and spacious than it is. 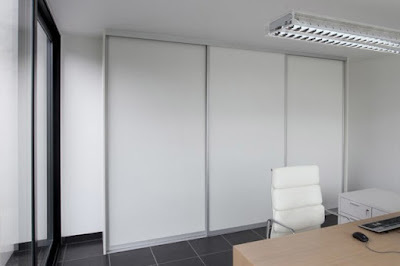 One of the places that can benefit most from sliding doors is an office where clutter can build up fast. A sliding door cupboard can provide you with different compartments to store your valuable documents. You can keep your domestic bills etc. in here too, separating things easily into different sections for ease of use. Children’s play rooms can be a real nightmare when it comes to clutter and toys lying about everywhere. Concealing boxes of toys and games behind sliding doors is a great way to keep things clean and tidy. This could also make it easier for your children to learn tidiness, putting one toy away before they get another one out. If you have an attic or loft conversion that gets used as a hoarding site, you might be wondering how you can tidy it up to use as actual living space. With the introduction of a made to measure sliding wardrobe, you can have a place to put everything without leaving it out in the middle of the room or on the spare bed. The garage can turn into another hoarding site if you aren’t careful. Before you know it, you have clutter everywhere and you can’t find what you are looking for. Why not consider having sliding doors installed down one or both sides of your garage to make storing and finding things much easier. If you have a large garage, you will still have space to put your car inside as well! What Kind of Wardrobe is Good for Suits? In the 21st century, more and more people are making an effort with their appearance in a bid to look fashionable, trendy and in generally good-looking. While the women of the world are often considered the one’s to make a lot of effort with their appearance, it seems a higher percentage of men are spending more time and money to look the part – but not in a way that you would expect. It seems that the latest trend in the world of men’s fashion is suits. While suits have always been fashionable, you wouldn’t have expected to see a great deal of men wearing suits in previous years. Nowadays, men seem to care more about their appearance, taking the time to purchase a range of suits to enhance their wardrobe ready for a variety of occasions. Going on a date? Wear a suit. A day at the races? Wear a suit. 9-5 job in an office where there is no specific dress code? Wear a suit anyway to look the part. Suits are now considered to be super trendy, with more and more men learning the fine art of wearing a suit and dressing to impress. For a lot of men, wearing a suit is the done thing. Some men will have worn suits most of their adult life and will understand the importance of a good suit and how to look after it. If you are part of the latest generation of men coming through that are just starting to wear suits, however, there are some things you should know about owning suits and how to look after them. As someone that is new to wearing suits, you’ve probably never had any real need for a wardrobe. Most of the clothes you have worn growing up have probably lived in a chest of drawers. While drawers are good for jeans and your day-to-day T-shirts, your suits certainly can’t live in drawers! Every man that wear suits should have a wardrobe to hang them neatly. Not only will your wardrobe give your suits a place to live, it can keep them looking new, for longer. A run of the mill wardrobe will usually do the trick if you are beginning to wear suits, but there are better options out there. Sliding wardrobes are perfect for any man that owns an array of suits, with different shirts, jackets, trousers and shoes. A sliding wardrobe will provide you with interior storage to make looking after you suits easy. The internal storage in your wardrobe is crucial when it comes to organising your suits and looking after them properly – and this is where a sliding wardrobe can come in handy. Different storage options can be considered depending on how you want to organise your suits. The right storage will have different places for each item to live, with shelves for shoes and rails for your jackets. You can hang your shirts as well or fold them neatly in a different section altogether, if you want to segment things more efficiently. Ties and belts can have their own place to live too, if you opt for a sliding wardrobe with drawers. Your cufflinks and other suit accessories can be stored here as well! Why are Sliding Wardrobes Best for Suits? 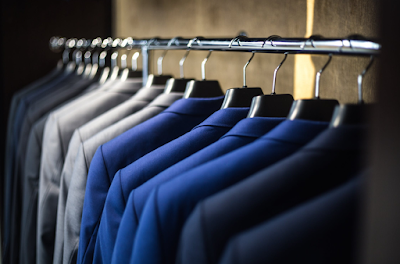 Rather than trying to cram your suits into a closet or hanging them on the back of chairs, your suits will have a proper place to live with adequate space to hang neatly. Creased or wrinkled suits will only require more maintenance, meaning they won’t last as long and will look older, faster. If you are spending decent money to have a range of deluxe suits, you should take extra care to store them properly in a wardrobe that cares for what’s inside. With spacious interiors and a variety of storage solutions, designed to make organising your clothes easier, a sliding wardrobe is the perfect answer for anyone looking for a way to organise their suits more efficiently. An interior designer will be tasked with creating usable and visually pleasing architectural spaces inside a physical structure. Interior design professionals typically study the behaviours and movements of individuals in the working and living environment, this is to help create spaces which are both attractive and functional. Interior designers may also perform the interior decorating work on the spaces that they design. An interior designer may also perform the interior decorating work on the spaces they design. An interior decorator is different, they wont design the space which they work in. Instead interior decorators focus on the furnishing, wall and floor treatments and artistic touches that will help to provide ambience and atmosphere to the interior space. Most interior design professionals will be employed by a construction or architectural firm, they will work in conjunction with builders and architects to design usable spaces for a variety of human activities. In other cases, interior designers may be called upon to create functional and beautiful set of interior spaces for a property. Interior design experts work for builders and contractors rather than directly for private individuals. Interior decorators are typically hired by homeowners to improve the visual appeal of an existing space. The interior décor experts usually specialise in commercial or residential spaces and will use lighting, wall treatments, flooring, furnishings and accessories to help create a pleasing look. The services of a qualified interior designer are crucial when it comes to creating usable spaces for working and living. Contractors and builders depend on these professionals to provide them with dvice on a variety of ergonomic and acoustic issues, as well as help in the design of lighting and traffic flow patterns that make sense in the specific interior environment. Homeowners can benefit from the help of an interior designer or decorator when it comes to remodelling or revamping their living or working areas. Interior decorators are knowledgeable about the effects of colour and the right use of accessories to create an illusion of greater space or to provide a cosy, comfortable environment for everyday living. White is undoubtedly one of the best colours to use for decorating, decor and furniture. There’s no cleaner, fresher colour for decorating than white; which could be one of the main reasons why white sliding wardrobes are trending right now. Often used as a foundation colour for repainting walls, white can in fact be the catalyst for interior design, providing homeowners with a way of getting creative. White is not boring, despite what many think. White is the trending colour for the backend of 2018, taking us into 2019 in the cleanest of ways. What makes white so special? You can do anything you want with it. White walls provide you with the best foundation for decorating the rest of your home, allowing you to get creative with your furniture and other soft furnishings, without overdoing the colour. 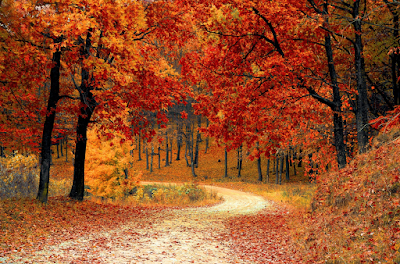 Through the changing seasons, you can experiment with different colour schemes. Subtle changes to your cushions, curtains, bedding, blankets and throws mean you change your wonderfully white room to a carefully balanced room with an injection of your favourite colours. White sliding wardrobes are the in-thing at the moment. Everyone seems to want white; but why? White offers a clean crisp appearance. When combined with any other colour/shade, white just works! White shades can be used to create the sense of more space, helping you to create a lighter room that reflects natural light better to give the impression of a large room. White is an inviting colour, when compared to other shades like black. White can be used to create an inviting feel, with a range of different white shades available to help you mix it up. Studies show that white helps to create a sense of comfort, making it conducive to relaxation. The brightness delivered by white can help to lift spirits and invigorate a person. White furniture, like sliding wardrobes, can contribute to all these things, blending seamlessly with the other furniture and decor in your home. Whichever way you look at it, white bedroom wardrobes are a great storage solution. 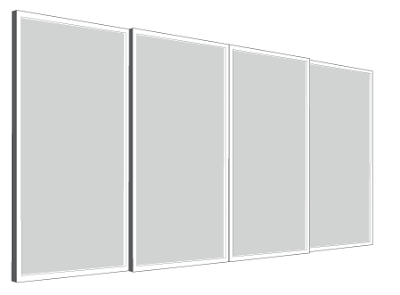 White wardrobes can be used in both contemporary and traditional homes. Whatever type of home you have, white can be used to create a fresh look, opening up the room with a lighter feel. Because white works so well with so many colour palettes, it’s probably the most versatile option when it comes to choosing a colour for your new wardrobe. Where can you Buy White Sliding Wardrobe Doors? 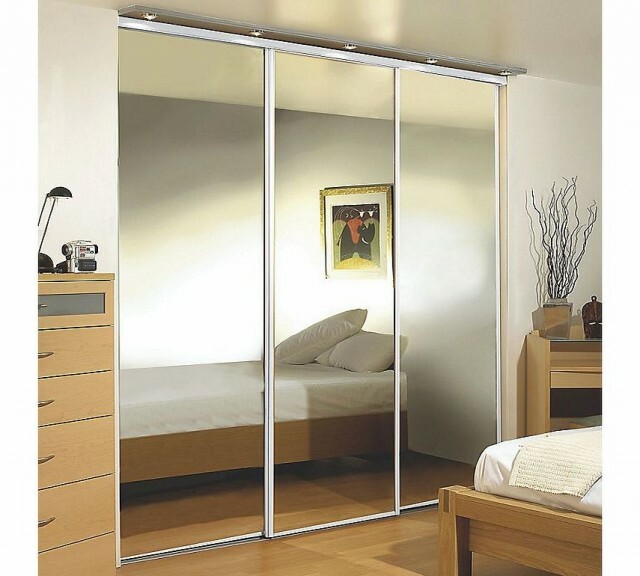 At Sliding Robes Direct, we have a range of sliding doors available, including a range of styles, panels and frames. Use our custom sliding wardrobe builder to design your very own sliding wardrobe with white doors today. If you are thinking about introducing a sliding door wardrobe to your bedroom, you might be wondering what the benefits are, compared to a free-standing or hinged door wardrobe. Despite what people think, a sliding wardrobe will actually help you to save space, rather than taking up more. If you have awkward wall spaces around the home or alcoves that you aren’t sure how to use, a sliding door wardrobe makes the perfect solution. The sliding doors mean that you don’t have doors opening outwards that occupy lots of floor space. You can do more with your surrounding furniture because you don’t have the worry of doors opening up into the room. Made-to-measure sliding wardrobes mean that even the most awkward space can be utilised, including rooms with a sloped ceiling. The best thing about a sliding wardrobe is the versatile storage living inside. Anything is possible with your wardrobe storage, with drawers, rails and hanging shelves all available to create custom-designed interior storage solutions. You can decide what goes inside your wardrobe, depending on what you need to store! It doesn’t matter if you have a traditional or contemporary home, your sliding doors can be designed to suit your personal taste. Woodgrains and other wood finishes are available for the more traditional home, while glamour, reflex doors or sliding doors with mirrors are usually better suited to a more modern home. Door styles, panels, frames and glass can all be combined to create a look that you love. Try our wardrobe builder (works best on tablet or desktop) to custom-design your very own sliding wardrobe. Having sliding wardrobes installed can actually add value to your property, if you are thinking about selling eventually. Rooms with built in storage will always help to enhance a room and that is something that potential buyers look for when buying a new home. An empty room with no built-in storage means that a buyer will have to bring/purchase/build their own storage when they move in, so they might be more inclined to look elsewhere. Not only can sliding wardrobes help you to get more money for your house, they might be able to help you to achieve the sale if you have been struggling to sell it for some time. Think about the different storage options for each room and what might make your house attractive to a potential buyer. This will help you to decide where sliding door wardrobes might be useful. 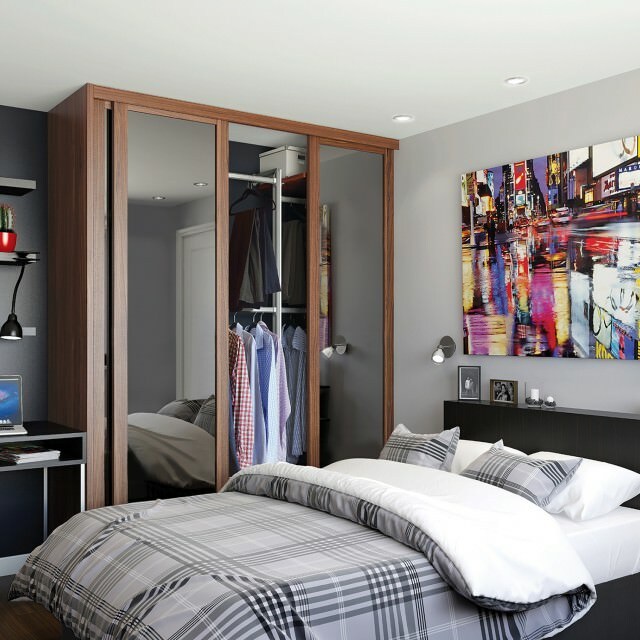 Despite what people think, sliding wardrobes can be used throughout various rooms of the house, not just the bedroom. 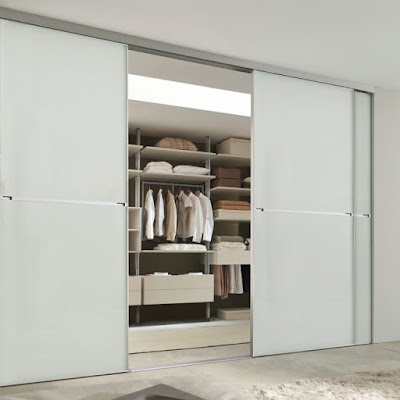 The sliding door offers a practical, universal storage solution that can be used in different areas of your home. The hallway, living room, kitchen can all be enhanced with the introduction of sliding doors, depending on the layout of your house of course. With so many practical benefits of having sliding door wardrobes installed, it’s easy to see why so many people are turning to this type of wardrobe to storage their personal belongings, save space and enhance their home. 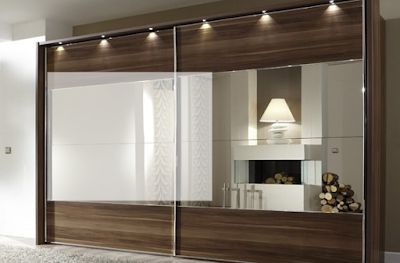 At Sliding Robes we’re obvious fans of sliding wardrobes, this is for a number of reasons, take a look at these top 5 reasons to love your new sliding wardrobes. Despite what people may think, you don’t need lots of space to work with when it comes to installing new doors. In smaller bedrooms, doors that open outwards can be a bit of a nightmare which can affect the layout of the room and make it difficult to store things. When it comes to sliding wardrobes, you can create a wardrobe with as little as 65cm worth of depth and doors that will slide behind each other to save space. 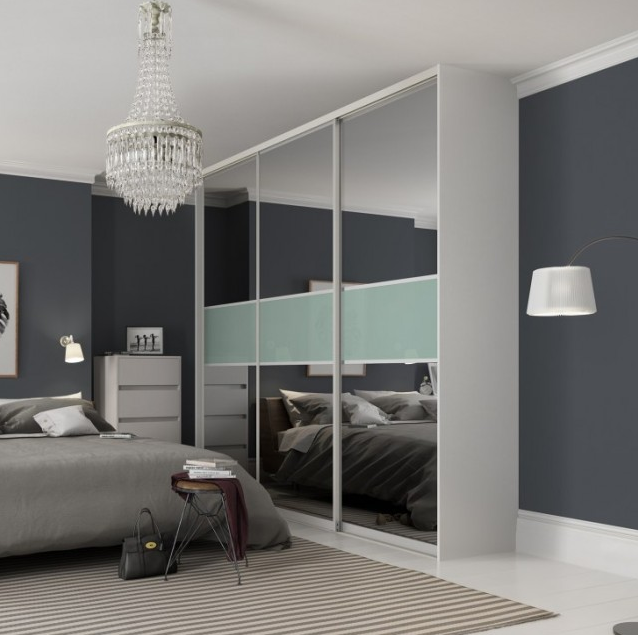 At Sliding Robes the wardrobes we provide can also be installed with full-length mirrors, this will make it easier for you to look after your appearance. You can store all of your favourite clothes and shoes in the wardrobe and then use the full-length mirror to try out different combinations. If you’re not keen on the idea of a full-length mirrored wardrobe, there’s lots of other designs available for you to choose from. With a large selection of designs available, it’s easy to find a wardrobe style that suits you and your requirements. With a range of panels and frames available, they can be combined to make sure that the end result is perfect for you and your home. You won’t need a degree in engineering to install the full system, sliding wardrobes are surprisingly easy to install. Ensuring that you have the right tools and equipment means there should be no problem measuring up and fitting your new doors. Sliding wardrobes allow you to be creative with your bedroom at home, the ability to store things more effectively means you can be more efficient with the space in other areas of your room. In some cases, our customers have had secret doors installed behind their sliding wardrobes! Summer is gone and Autumn is certainly here. In a few short weeks it will be time for winter, and before you know it, it will be spring and summer time again. Let’s not get ahead of ourselves though. For the time being at least, autumn is here. Everything around us is changing as the weather turns colder and the leaves fall. As nature does it’s own thing outside, it gets a lot of people wondering what they can change inside to become more autumnal. With that in mind, we have put together our 5 top tips for making your home more autumnal to take you through the end of 2018 and into 2019. White backgrounds make it easy for you to change from one season to the next. White, cream or ivory coloured walls provide the foundations for playing around with different decor and colours throughout a room. Cushions, throws, bedding and curtains can all be changed with ease and will always fit in with a light coloured backdrop. Replace your summery cushions with autumnal ones and the job is an easy one. Painting the walls is the hardest part, but once you have a light setting, you can play around with different decor as you move from one season to the next. You could even have a rug for spring/summer and a different one for autumn/winter that you rotate every 6 months to give that particular room a different feel. One of the best ways to add an autumn feeling into your home is with textured layers. An extra blanket at the end of the bed or a fluffy throw for the couch will help to add warmth to your home throughout the chilly months. Don’t go overboard by adding layers in every room. A few subtle changes will make a massive difference to the feel of your home. A lot of people think that nature is for the spring and summer months, but adding decorative natural elements to your home in the autumn can have a huge impact. Leaves, dried twigs and branches, acorns and fresh fruit are a great way to add more of a autumnal feel in your home. Autumn is a great time to experiment with different textures around the home. Consider adding a few fuzzy rugs throughout and change to new autumnal bedding. Softer bed sheets and pillow covers are a clever idea and as with point 2, you could also look to introduce blankets and throws throughout your home. The change in season is a perfect time to introduce new feelings. Shorter days and longer, darker nights offer the perfect opportunity to introduce new lighting to your home. Scented candles are a solid idea, as are mason jars. You might even want to look for new lamps to create a more cosy setting, instead of using the ‘big light’. Whatever your plans are for giving your home a makeover this autumn, we hope our 5 top tips will help you moving forward. What Wardrobe Storage is Right for You? The different storage inside a sliding wardrobe will often be referred to as a wardrobe interior or a wardrobe insert - but how do you know what storage to choose? If you are working on a sliding wardrobe without interior storage, you have a clean-slate to work with and therefore have more flexibility with what you can do. If your sliding wardrobe doors have recently been installed, chances are you will be wondering what storage you should put inside. Before you start purchasing random boxes and drawers to put inside, you might want to consider the different options available that will help you to build the perfect wardrobe. 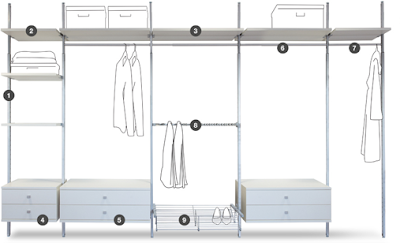 Usually consisting of shelving, hanging poles and drawers, these are the structural foundations that allow you to store things efficiently in different compartments. Without these elements, you’d only be able to put stuff on the floor, which is practical for… well… nobody. All you would have is an empty space inside that is hard to keep neat and tidy due to the lack of internal storage! Wardrobe interiors play an important part of any sliding wardrobe, providing you with a way to store your clothing and other belongings in an organised fashion. Rather than buying random storage and hoping it ‘just works’, we have compiled a few short steps that you should consider to help you make the right decision. 1. Think about what you need to store first! Assess the situation before you do anything by taking the time to look at your belongings. This will help you to figure out what needs to go inside you wardrobe and how it can be categorised. the trick to a tidy wardrobe is keeping things off the floor. If you’re someone with lots of clothes and shoes, you might want to consider rail and shelving combo’s to keep things off the floor. If you have a lot of accessories, like hats, scarves and belts, you might be better suited to drawers. You don’t need to restrict yourself. think about where your things can live and this will help you to effectively plan your wardrobe interior. 2. Think about size - it DOES matter! You don’t want to cram too much storage into your wardrobe so that it looks cluttered. At the same time, you want to put enough inside to make storing things easy, in a neat and organised fashion. Think about the space you have to work with as this will help you to effectively plan your storage. 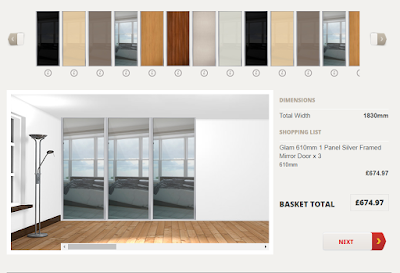 By using our wardrobe design tool, you can play with different interiors to find what fits. This will give you an accurate idea of what your wardrobe will look like when it is finished, allowing you to purchase your doors and interior storage at the same time to build your dream wardrobe. Don’t just look for the cheapest option when choosing your wardrobe interior storage. Look for quality storage that will last you for a long time. After all, your wardrobe isn’t something you will change every 2 years, like your mobile phone. If you’re strongly considering having a sliding wardrobe installed, you should think carefully about how you want the interior to look and shop for quality storage over cheap storage. Sliding Robes Direct offer a range of quality wardrobe interiors, including drawers, hanging rails and shelving that can be combined to create the ultimate wardrobe interior. If you still aren’t sure what type of wardrobe interior would be best for you and your wardrobe at home, take the time to get in touch and speak to a member of the Sliding Robes Direct team. We can provide you with advice and point you in the right direction! Unlike conventional wardrobe, fitted or sliding wardrobes can be built into the walls of your property so they can’t be moved. This makes them a permanent feature in your home and could make you less including to move into a new house. Having a wide range of wardrobe options out there available to you means we can transform your bedroom, so they’re worth the investment. Some may say that one of the biggest benefits of sliding wardrobes is their versatility and flexibility, by being able to customise the doors in a way which suits the décor of the room is a big advantage. 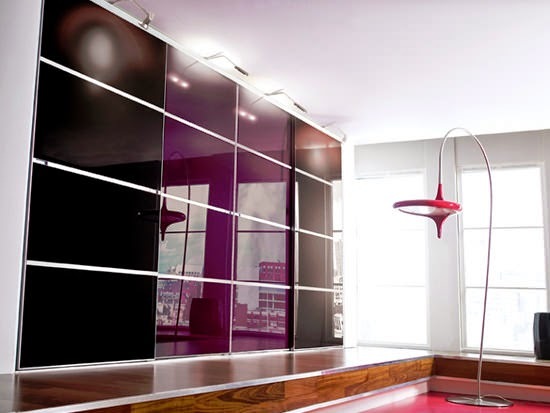 As well as including partitions and storage solutions which enable people to customise the wardrobe interiors too. Panels and frame are also very versatile. By combining a range of designs, you can create a wardrobe that suits you and the interior of your property. 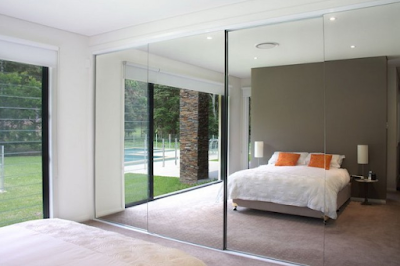 From traditional to contemporary, the designs of sliding doors can be very versatile. Sliding Wardrobes can act as an all-in-one storage solution, providing you with a means of storing your personal belongings, from clothes to shoes, bedding and much more. Drawers, hanging rails and shelving can all be used to help create your perfect wardrobe interior. If you have a clear idea in your head of what it is that you need to store, this can make the design process for the interior of your wardrobe much simpler. Sliding wardrobes can make use of awkward floor space in usual shaped rooms, providing more opportunity for furniture and storage. When space is limited, sliding doors can come in handy. A set of drawers or free-standing wardrobes won’t cut it when you have a lot to store and such a little space to work with. Doors don’t need to open outwards, making sliding wardrobes a lot more beneficial. Sideways sliding means that you can position other furniture and items closer to the doors than you usually would with a standing wardrobe. Installing sliding doors can be made easy should you have even the smallest background in DIY. You won’t need to be fully qualified or an expert in engineering to install your new sliding wardrobe. If you’re feeling confident enough to install the wardrobe yourself then make sure that you ensure it’s going to fit first. Should you be unsure, there are lots of experts out there who can fit the doors for you, although we tend to find that most customers find the installation quite simple. Wardrobes are a long-term piece of furniture that people don’t think of replacing all too often. For that reason, when you buy a new wardrobe, it’s important to get it right from the start. There’s a few things that need to be considered when you a buy a new wardrobe, such as the colour, material and the style of the doors. It can also be difficult knowing whether to opt for a hinged door wardrobe or a sliding door wardrobe, thinking about which would be best for your bedroom. If you aren’t sure what type of wardrobe would be best for your bedroom, take the time to learn about each option before making your final decision. All space behind the doors can be utilised, with doors that open outwards to preserve the space inside. When the doors are open, you can see everything inside. Unlike other wardrobe types where the doors will partly obscure the contents of the wardrobe, a hinged wardrobe keeps things simple. Hinged wardrobes are more traditional and will often be better suited to a traditionally themed home. Hinged wardrobe doors take up more space than sliding doors. This will often mean you are restricted in terms of the furniture you can position close by. The outwards-opening doors mean you need to consider the space directly in front of the doors to allow them to open properly. For bedrooms where space is an issue, hinged wardrobe doors aren’t always a practical solution. 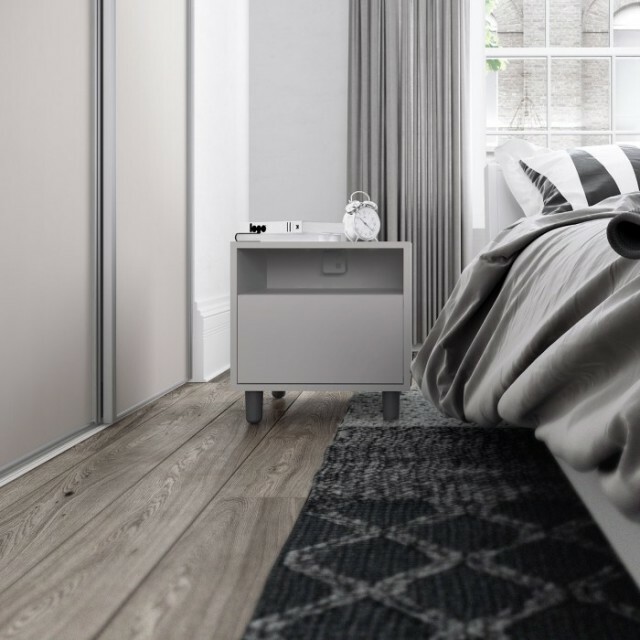 If you are looking for a space-saving storage solution to maximise the space in your bedroom, you might want to consider the advantages of having sliding wardrobe doors installed. If you have are concerned about storage space, sliding wardrobes can help you to maximise the space you have in your room. Made to measure doors can be purchased to suit different room sizes, with different finishes and interior storage solutions available to help you build a bespoke wardrobe. Drawers, hanging rails and shelves can all be combined to help you build a floor-to-ceiling storage solution for a wide range of your possessions. Sliding wardrobe doors are highly suited to more contemporary homes, where a modern theme can be seen throughout. A sliding wardrobe will form part of the room in a less intrusive way, subtly storing your clothes and other belongings. You will often need a large bedroom to consider sliding wardrobe doors, though this isn’t always necessary. Sliding wardrobes can work well in smaller bedrooms as well, providing you have the right space for the doors to be installed. What door type to choose? Even after reading the advantages, it can still be difficult to know what door type is right for you. If you are leaning more towards sliding doors, please take the time to view the different door types we have available on our website. 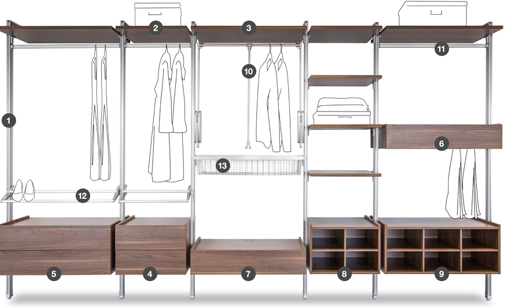 Use our wardrobe builder on a desktop computer or tablet to design your own sliding wardrobe with a style you love. The bedroom is notoriously one of the messiest bedrooms in the house and a hard one to keep organised. When you stop to consider that it’s probably one of the smaller rooms in your house, compared to your living room, dining room or kitchen, it makes it even trickier to organise. So how do you go about doing this? Your bedroom tends to have more stuff in than the other rooms in your home, so more storage is generally required. To keep your bedroom organised and well-maintained, you’ll need a good range of storage solutions to keep things organised and ensure your bedroom is the tidy space you want it to be. "Did you know? You will actually get a better night’s sleep in a tidy bedroom!" You should also take the time to learn how you can use your bedroom storage wisely to save space and organise your bedroom more efficiently. Clear anything out that you no longer need and remove things from your bedroom that have no right to be stored in there, such as dining table cloths. Things like coats and jackets that are worn seasonally should be given a dedicated place under the stairs or in a different cupboard, while chunky items like suitcases should be moved to the loft for when they are needed. Items like this will often take up lots of valuable storage space, in your wardrobes or under your bed, that could be utilised in other ways. Clear out your bedroom and remove any items that shouldn’t be there to free up extra space for organising. There will be other areas of your home that don’t suffer in the same way as your bedroom, so be sure to consider all your free space before you set about cluttering another room. Vertical storage, such as shelving, cubbies and drawers should all be considered to sit in awkward spaces. 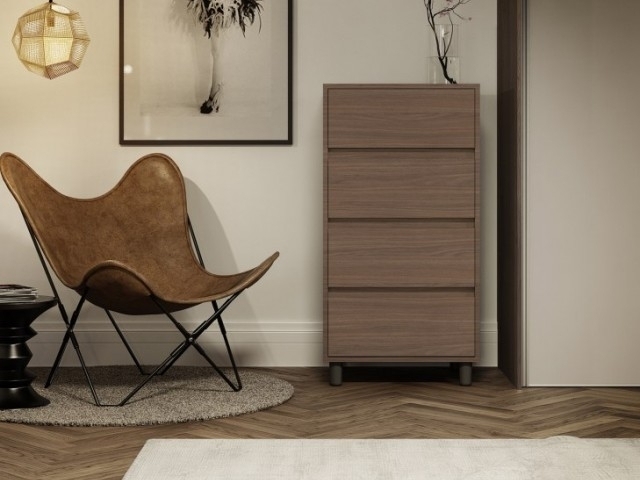 Tall or slim storage solutions are ideal for keeping smaller items safe and organised in a neat fashion, while shelving can be used creatively around your bedroom to de-clutter other surfaces like bedside tables, dressing tables, drawers and desks. A great idea for bedroom storage that you might not necessarily think of is a headboard with shelves or cubbies inside. If you already have a headboard, this could form part of your next DIY project to save some money along the way. One of the most effective ways to make use of the storage space in your bedroom is to install sliding wardrobe doors. A sliding wardrobe provides a great place for you to hang clothing and store other bedroom essentials, with rails, shelving and drawers available to use as internal storage. Sliding doors make a simple addition to any bedroom, making use of awkward spaces to help make storage a lot easier. Shoes can be stored from floor to ceiling on shelving and you can even dedicate drawers to your bedding. The best thing is - all of this can be concealed behind your sliding doors! It’s easy to stuff things under your bed and forget about them forever, thinking that they are stored neatly - when in fact they have no right to ever be there. For most people, ’under the bed’ means a place to store a wide range of possessions, but how can you do this more efficiently? Rather than just chucking things under there and hoping for the best, take the time to remove all items from under your bed and start again. Purchase some plastic containers that you can slide in and out easily and this will help you to be more organised. Vacuum storage bags should also be considered for bulky bags of clothing you want to keep. If your bed isn’t high enough to store things underneath, you might want to consider buying a set of bed raisers to lift your bed up further. Divan beds with built in storage are another good option for storing items out of sight, with an easy open-close system that lifts the mattress up and down. Whether you are moving into a new house or looking to redecorate, you might be thinking of ways you can make each room more comfortable. When thinking strictly about the bedroom, there are lots of things you can do to make the room where you sleep super comfy. Here we look at a few different ways you can make your bedroom more comfortable. You might not think of windows as an important part of the room, especially when it comes to making it more comfortable to be in, but comfort runs much deeper than a few cushions. You should consider each element of the room if you want to make your comfier. Your windows are included in the things you should consider; especially the décor you choose for your windows. Replacing old blinds can be a positive step, turning to something more modern to give your windows a new lease of life. Black-out blinds are a great idea if you rely on having total darkness to get to sleep, while thick, fabric curtains should be considered to add an extra cosy feel. 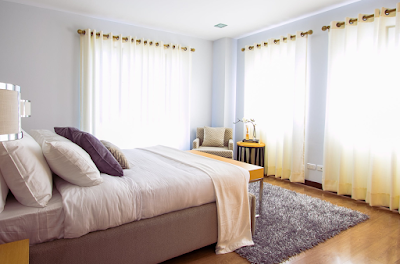 Floor-length curtains can help to add extra-comfort - especially if the space below your bedroom window is blank. 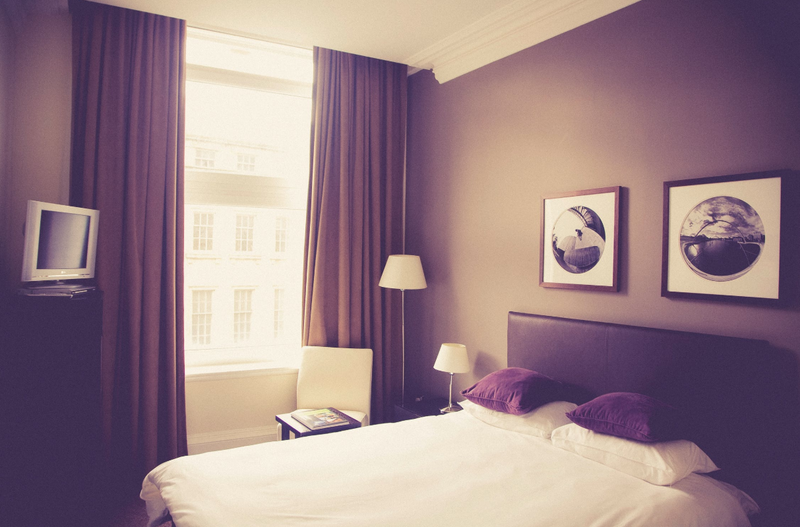 Even if you have a radiator below your bedroom window, thick curtains will help to add warmth and comfort. Lighting can have a huge impact on a room and how it feels. Quite often, the lighting in a room can be under-appreciated or not even thought about regarding how comfortable a room is to be in. The lighting can, in fact, play a remarkable role in setting the mood to make a room more comfortable and relaxing. By switching to new bulbs with a warm tinge, you can go a long way towards making your room feel cosier. You could even consider a dimming switch that allows you to reduce the brightness of your bulbs at certain times. Using standing lamps instead of the ‘big light’ on your ceiling can provide an alternative light source to help you wind down. Creatively placed fairy lights will also help you to change the setting, wrapped around the bed or other key pieces of furniture. Finally, candles offer another (economical) way of adding a calming effect to the room, which can help to make it seem more comfortable. Position a few of your favourite scented candles around your bedroom to take comfort to the next level. Think about the different textures you can use to enhance comfort. If you have a hard floor, why not add a fluffy rug to the floor alongside your bed? 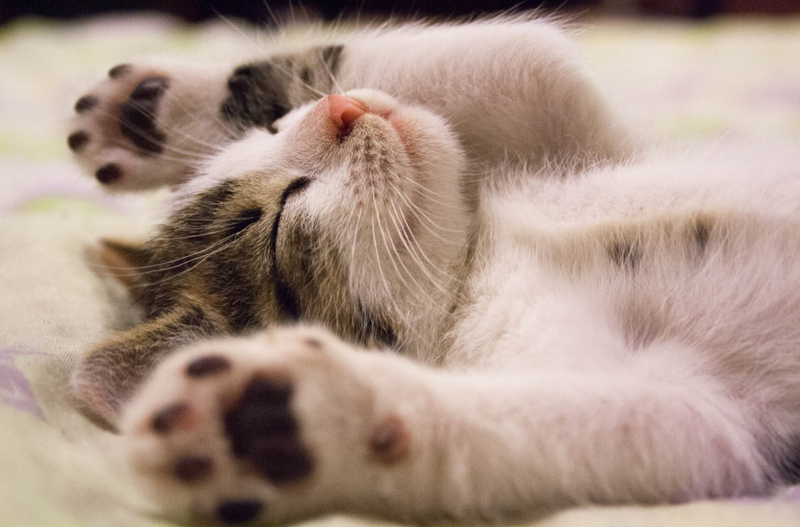 Waking up to feel a new comfort on your feet is a great way to start the day. Cushions, throws and blankets are obvious ways to add comfort to your bed, but if you want to take things to the next level, you could always opt for a different fabricated headboard. If your headboard is hard, look for online DIY tutorials that will show you how to upgrade it yourself, without spending money on a new one. Textiles obviously play a huge role in how a comfortable a room is, so if you think your bedroom isn’t comfortable enough, think about how you can introduce different textures that will enhance the physical comfort you feel when you are in your bedroom. As well as thinking about the way your room looks and feel, you should also consider the way it smells on entry. Sometimes all your room needs to feel more welcoming is a new scent, whether that be calming lavender or something more seasonal. New smells can really enhance the atmosphere in a room. Kill too birds with one stone by using scented candles to change the lighting and add new smells to your favourite room. Wax melts or diffusers are other alternatives you might want to consider making your bedroom smell nice. The level of comfort in your bedroom might also come down to how neat and tidy it is. Thinking about how things are stored and laid out around the room can have an impact on comfort levels too. A sliding wardrobe is one of the best ways of storing your possessions neatly to keep your bedroom tidy. Different compartments for clothes, accessories, shoes and other possessions makes sliding wardrobes the perfect addition to any bedroom where storage is an issue. A neat and tidy bedroom is generally a more comfortable one, so take the time to think about what you can do to keep your bedroom tidy. Usually you would consider the essentials for having the perfect wardrobe in terms of clothing trends or outfits, so we’re here to make sure from the outside that your wardrobe itself looks flawless. At Sliding Robes Direct we have researched the essentials of dream wardrobes and how to design the perfect wardrobe, to help you to achieve your goal in making sure that your wardrobe looks great, both in how you wear it and how your store it. From fabulous walk-in wardrobes complete with sliding doors to a sliding wardrobe designed with every storage component required to organise everything accordingly, we have also covered all aspects of the perfect wardrobe in order to make sure that there’s a beautiful closet design for everyone, that also caters to their every requirement. In order to make sure that all of your lovely clothes, shoes and accessories are stored and put away correctly, we’ll start off with the interior. The interior of your wardrobes is what matters the most, this will be where you’re able to design your dream interior wardrobe, we’ve came up with a few essentials to ensure that you’ve got a wardrobe with the WOW factor. This is in no way the rules of interiors but there’s inspiration to help you make sure that you get the deal wardrobe which suits all your requirements. At Sliding Robes our team of specialists can design the most important aspects of your wardrobe, from shoe racks to rails for different types of clothing items. In order to ensure that you have a wardrobe with the WOW factor. This is in no way of the rules of interiors, but inspiration to help you get the ideal wardrobe to suit your specific requirements and taste. Whether you’re male or female, I’m sure you’ll agree with us saying that you can never have too many pairs of shoes. Whether it’s trainers or heels, shoes are a girl’s (and guy’s) best friend. Show off your collection with pride and have a designated shoe rack in your wardrobe. So your outfit is ‘on fleek’ but you’re not sure what to do next, take a selfie, of course. Make sure that you have a full length mirror or mirrored sliding door to ensure that you get that perfect image. This way you’ll be able to see what your outfit looks like from all angles without running out of the mirror length and having to kneel down. Our interior panels have been critically designed to fit anything in, from vest tops to jewellery, no matter if you’re looking to have drawers for all of your favourite tops or to create compartments for watches. At Sliding Robes we have your every need covered, simply shop online with us today, dream big and just have a go. It’s fun and free to design. Whether you’re looking to have just the interior of your wardrobe designed, or you need an entire new wardrobe, with Sliding Robes you’ve come to the right place. We offer a selection of made to measure and standard sized doors, which can suit any taste and room. Simply shop online with us today and you can choose the best design for your and your requirements. Downsizing isn’t just for retirement or the older generation. Lots of people will choose to downsize or will need to for a number of reasons. If you have had a significant pay-cut or are going through a divorce, you might be forced into downsizing. On the flip side, your kids might have flown the nest and you might simply want a smaller place to live. 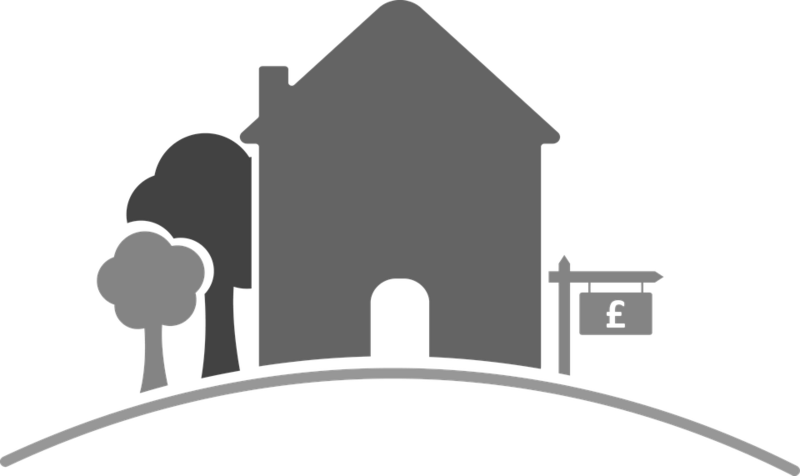 Whatever your reasons are for downsizing, you will to think about the best way to proceed. 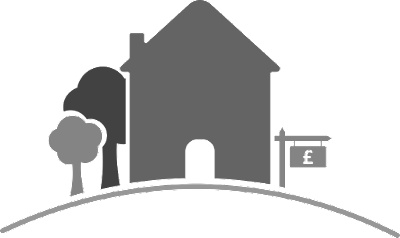 Following our top 10 tips will stand you in good stead if you are looking to downsize in the near future. Buy yourself a folder, make checklists of what needs to be done and keep everything in one place for easy reference. If you need to sell furniture or buy anything for your new place, you can keep store everything in one place and refer to it as and when you need to. It might seem a bit extreme, but taking it seriously will help to make sure the whole process runs smoothly. Don’t become too overwhelmed by the task at hand to the point where you start rushing. If you plan far enough in advance, you won’t need to rush and things won’t be missed or go wrong. As soon as things become rushed they can become overwhelming and you will start to question your reasons for doing what you are doing. Think about how much you will need to get rid of, considering the size of your new downsized place in comparison to your current home. Large pieces of furniture will need to be measured and you’ll need to think about whether they will fit or if they are needed in your new pad. You might be able to pick up a few quid for them if they won’t fit, giving you some extra spending money for new furniture to enhance your new home-to-be. Don’t try and squeeze large furniture into smaller spaces just because you don’t want to part with it. You’re better off letting go and trying to make your new home look more spacious, especially as it will be smaller. De-cluttering is key with any type of move. Work out what you want to keep and what you want to take with you. The charity shops can come in really handy for goods that you don’t use anymore but mightn’t be worth much. For anything else that might be old, damaged or not needed, the tip is a good place to start. De-clutter as much as possible so that your new home doesn’t become full of things you don’t need. It might seem safe to leave the shed, loft or any outbuilding areas until last, but there are often the hardest and most cluttered. By tackling the hardest jobs first, you will make the whole process much easier, rather than neglecting the things you don’t want to do. You might even strike gold with any electrical appliances you may no longer need, such as a lawn mower. Be ruthless with stuff you don’t need or have never used. Things like spare bed sheets, old curtains and towels that have been locked away and never used can go the distance. Moving to a new house is a good time to change as well - out with the old and in with the new. Your old sheets and curtains might not match the décor in your new place, so bear thought to this before you take stuff with you. If you don’t think you’ll need it, don’t take it ‘just in case’, get rid of it and enjoy having more space in your new home. Think about how a room can be used for a number of things in your new home. Can your kitchen incorporate a dining area or can a second bedroom be used as an office as well? The key to multi-use rooms is to keep them tidy, which is where storage can come in handy. Built-in storage can come in extremely handy, no matter how big or small your home is. Storing items effectively is the key to having a tidy home, so consider having built-in storage wherever you can. Bathroom storage can be useful for things like toiletries, bathroom cleaning products, spare toilet rolls and even towels. The right storage will be truly effective when it comes to making your new home look neat and tidy. In the bedroom, consider sliding wardrobes to save space and keep the room looking neat and tidy. The wardrobe interior can be segmented to keep your clothes and personal belongings separate. For all the items you couldn’t part way with, a sliding wardrobe will be an ideal storage solution to keep things organised effectively and tucked out of sight. Leave things like books and paper until last and sort through them one box at a time. Often, photos are hard to get rid of, so you’ll want to take your time and make sure you are making the right decision. You and your partner might disagree on what to keep and what to get rid of, so it’s best to do this together and not make any rash decisions. Sliding Robes Direct’s Blog. Awesome Inc. theme. Powered by Blogger.